Two books which haven't been Forgotten so much as absorbed into larger editions, which are in print at very least after a fashion, or in the case of the Leiber, are also reprinted in very expensive. lavish collectors' editions over the last couple of years (three Centipede Press editions, ranging in original price from $75-$300). 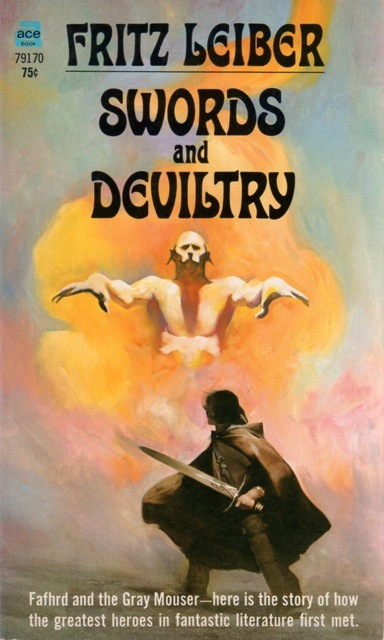 Swords and Deviltry collects, in terms of narrative or internal chronology, the first three stories of the swordsmen, thieves and mercenaries Fafhrd and the Gray Mouser, the former a tall hulking figure from the barbarian North of the planet Nehwon (which notably is a reversal of "No when", a bit of tribute to Samuel Butler's Erewhon), the latter a short, slight man of great agility and speed, from points southerly; they eventually meet in their world's largest city, Lankhmar. 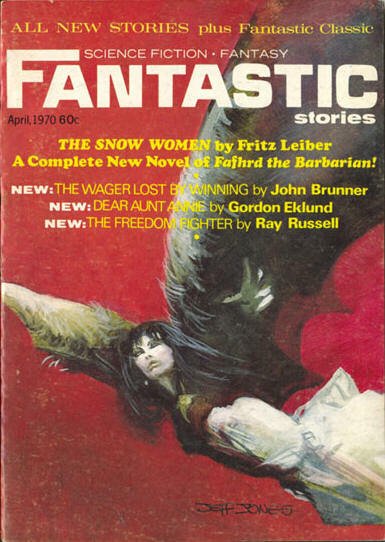 The first novella, "The Snow Women", gives Fafhrd's origin story, as the magical apron-string-bound prince of the Snow Clan finds love with visiting young woman, in with the annual visitation of outlander traders and show people; Fafhrd being a sort of analog of Leiber himself, raised largely by aunts while his parents were touring the country with their Shakespearean troupe. 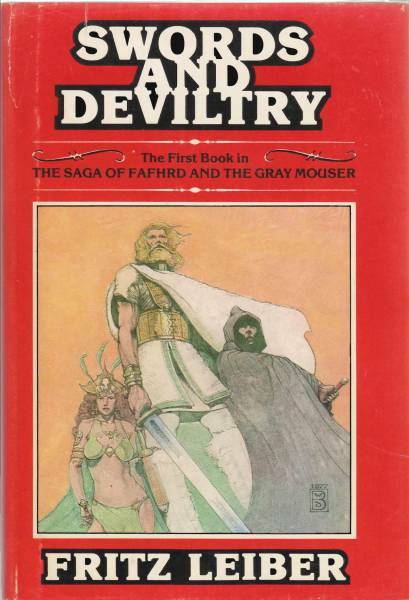 "The Unholy Grail", a novelet written a decade earlier, gives the early years of Mouse, who would become the Mouser, their innings; Harry Fischer, a great friend of Leiber, and direct collaborator on several of the early stories in the F&GM series, was the model for Mouse/the Gray Mouser. 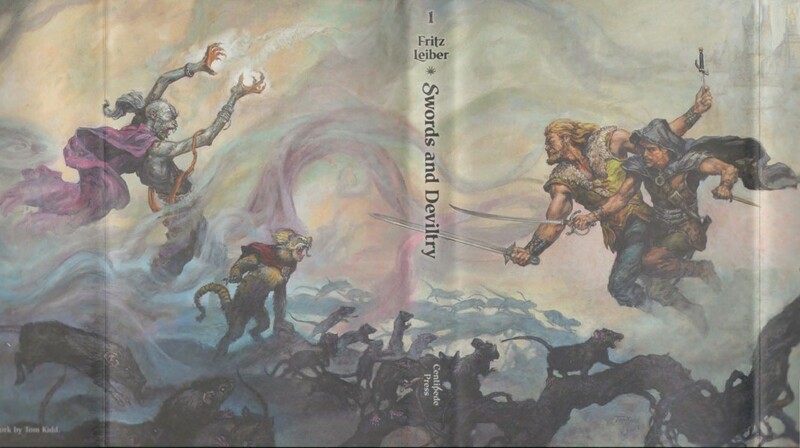 And "Ill Met in Lankhmar", a 1970 novella which won both the Hugo and Nebula awards for Leiber (in those years where there was, for a while, no regular award for fantasy fiction), brings the two men and their womenfriends together for the first time...and binds them with even greater tragedy than they faced earlier. 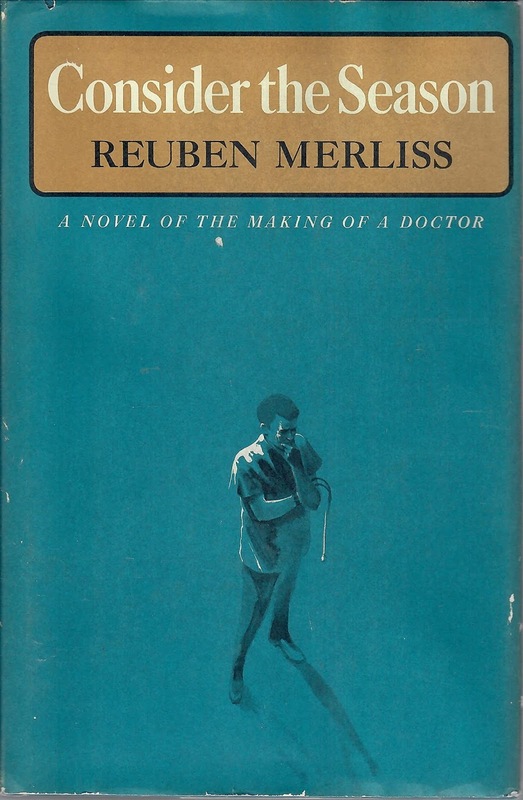 The first and third stories had been written in the wake of the rather early death of Leiber's wife, Jonquil, which had sent him into probably his most profound alcoholic tailspin, a recurring problem for Leiber, which he would often use the writing of Fafhrd and Mouser stories to help overcome. 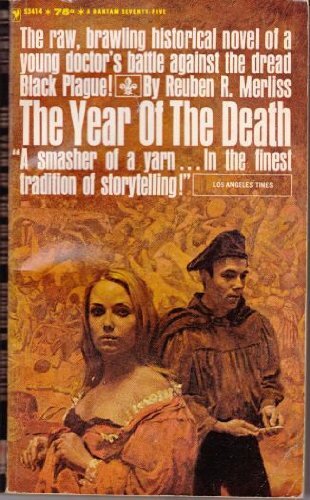 Of all the Ace paperback volumes which initially gathered the sword and sorcery fiction of Leiber, this one has always been the dearest to me, even given the relative lack of heft of "The Unholy Grail"--more than made up for by both the novellas...which notably appeared in the same cover-dates for the two most notable English-language fantasy-fiction magazines in 1970, Fantastic and The Magazine of Fantasy and Science Fiction. 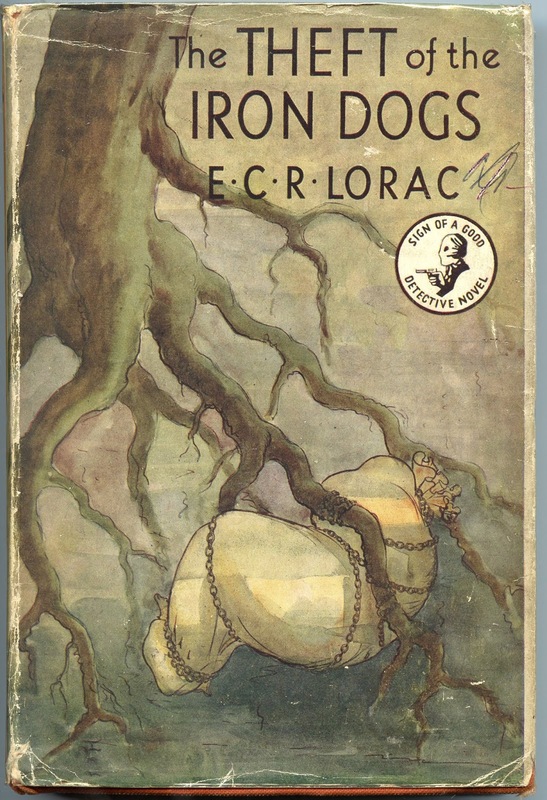 Most of the other Ace volumes would mix stories of varying quality, from readable at worst to utterly brilliant, but "Ill Met" is one of the best, if not the best, of the stories in the series, and "The Snow Women" is funny and sharply observed, almost as deft in its satire of sexual politics (from an essentially pro-feminist, but not at all obsequiously so, point of view, not unlike his brilliant first novel, Conjure Wife...and incorporating some of the resentment of Leiber would express for the restrictiveness of his upbringing, and its consequences, in other stories, such as "Gonna Roll the Bones"). 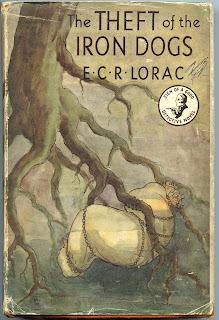 First edition, art by Jeff Jones. 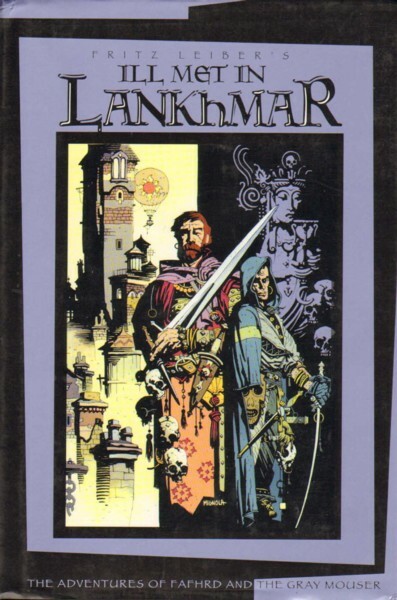 Ill Met in Lankhmar Fritz Leiber (White Wolf/Borealis 1-56504-926-8, Oct ’95 [Sep ’95], $19.99, 337pp, hc, cover by Mike Mignola & Sherilyn Van Valkenburgh) [Fafhrd & Gray Mouser] Omnibus of the first two collections featuring Fafhrd and the Grey Mouser, Swords and Deviltry (Ace 1970) and Swords Against Death (Ace 1970). There is a new introduction by Michael Moorcock. The introductory material by Leiber himself is taken from the 1977 Gregg Press editions, and includes pieces dated 1962, 1973, 1974, and 1977. 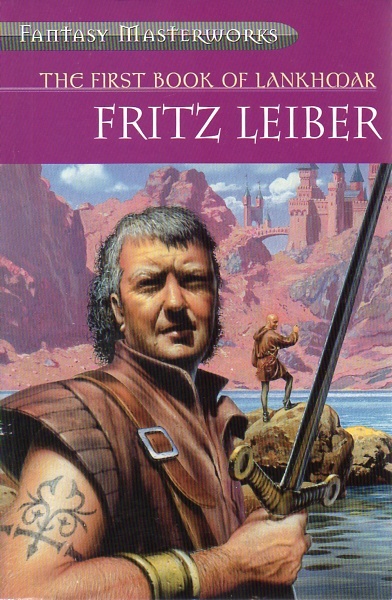 The First Book of Lankhmar Fritz Leiber (Orion/Gollancz 1-85798-327-0, Jun 2001, £6.99, 762pp, tp, cover by Chris Moore) [Fafhrd & Gray Mouser] Fantasy omnibus of the first four “Swords” books: Swords and Deviltry (Ace, 1970); Swords against Death (Ace, 1970); Swords in the Mist (Ace, 1968) and Swords against Wizardry (Ace, 1968). 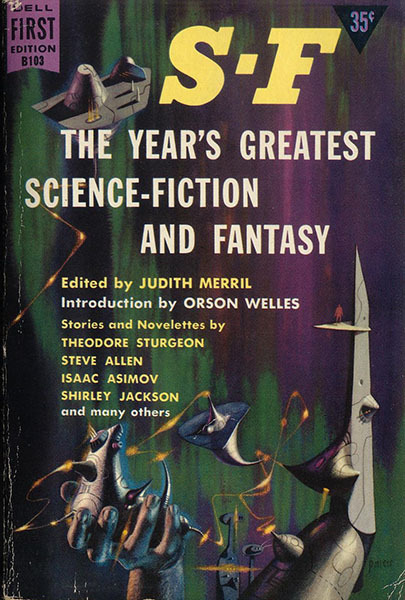 Volume 18 in the “Fantasy Masterworks” series. 328 · Claws from the Night [“Dark Vengeance”] · nv Suspense Magazine Fall ’51; Also published as ‘Claws in the Night’. 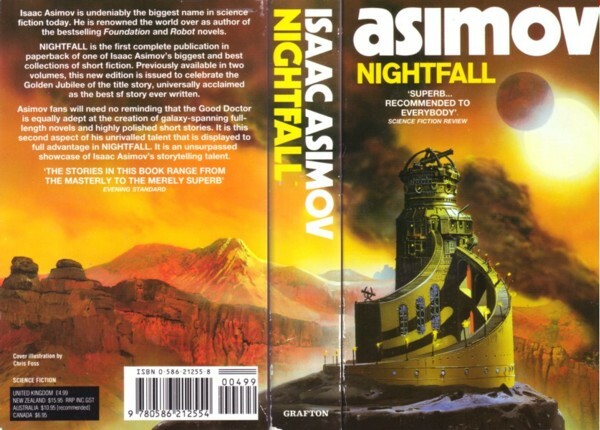 While Isaac Asimov's collection Nightfall and Other Stories has been out of print under its original title since sometime after the 1991 UK edition from Grafton, though it has been incorporated into The Complete Stories, Volume 1. 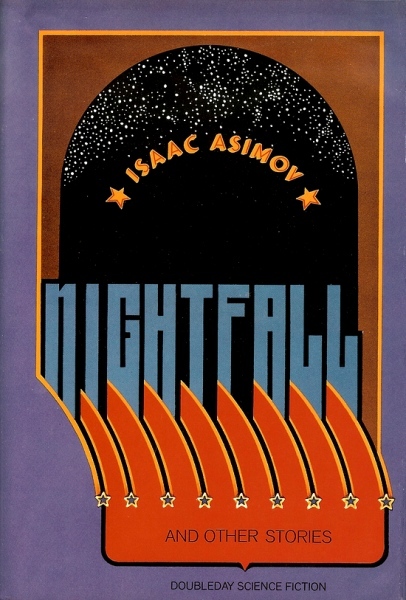 This was the first of Asimov's collections to be a survey of his work, including stories from nearly every phase of his career up to 1969, as opposed to his earlier collections being essentially My Recent Stories (themed collections devoted to robot stories had also appeared, which were limited surveys, and Asimov's Mysteries was published the year before, likewise intentionally if loosely delimited). 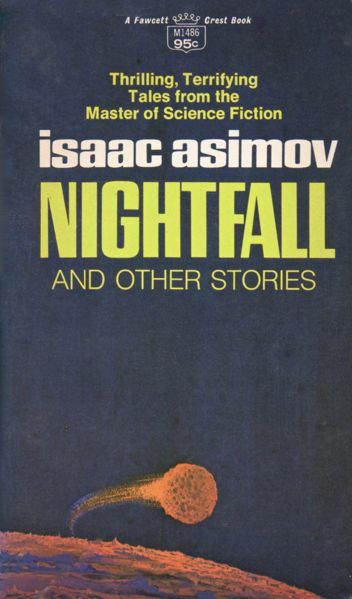 For no obvious reason, such key and/or engaging stories from his career as "Green Patches", "Hostess", "What If..." and "Unto the Fourth Generation" had not been included in previous volumes; one suspects "Nightfall" previously had been overlooked in part because while it was his first story to gain widespread attention, it was the work of a 19yo, and reads like such, and apparently no few people would approach Asimov in later years and inform him that it was Still the best thing he ever wrote, not the kindest thing to say to a writer...and a plaudit that several of the stories here deserve rather more, even if there's no lack of relatively minor, if amiable, joke stories here, as well (such as "Insert Knob A in Hole B" or "What Is This Thing Called Love?"). But what made the collection particularly dear to me, aside from the better stories and general sense of fun among most of the minor ones, were the chatty story introductions that were first offered in Asimov's Mysteries and here among Asimov's collections, after the first, 1962, volume of The Hugo Winners that Asimov presented rather than actually edited. 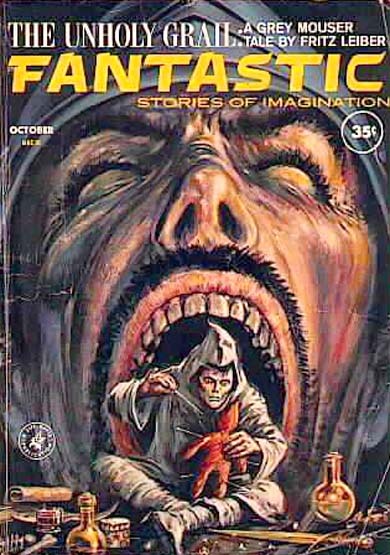 That previous collections had left out the fantasy stories, for the most part, didn't hurt my feelings as I read this one before the earlier volumes (and just before Asimov's Mysteries). 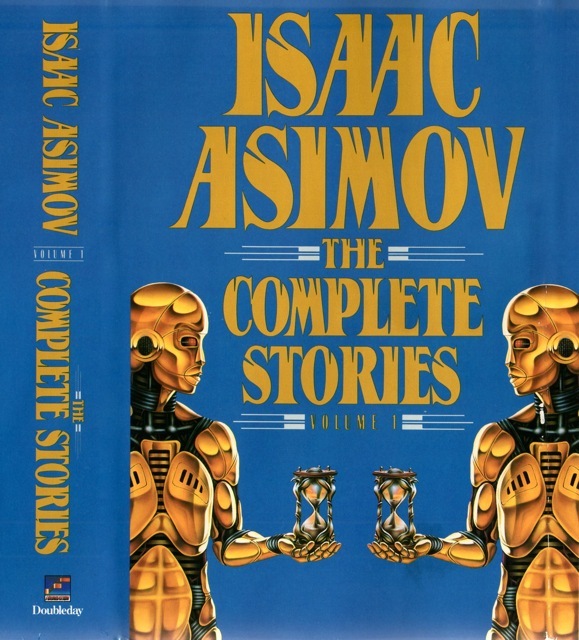 The Complete Stories, Volume One Isaac Asimov (Doubleday Foundation 0-385-41606-7, Nov ’90 [Oct ’90], $22.95, 614pp, hc, cover by Barclay Shaw) Omnibus collection of 46 stories, comprising the complete contents of Earth Is Room Enough (Doubleday 1957), Nine Tomorrows (Doubleday 1957), and Nightfall and Other Stories (Doubleday 1969). 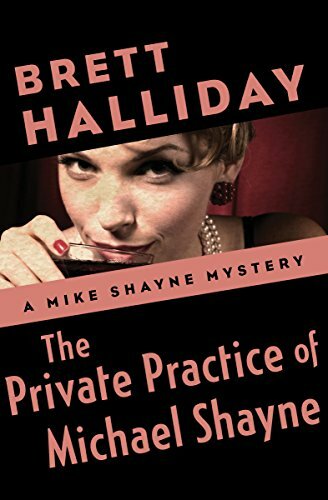 Also available in trade paperback (-41627-X). Indices courtesy William Contento/Locus/ISFDB/Galactic Central. The last and the first. 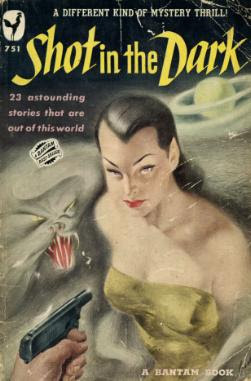 In 1956, Judith Merril was already a veteran anthologist in the fantastic-fiction arena, her first effort thus a 1950 assembly of sf, fantasy and horror from Bantam entitled Shot in the Dark in part because that's how the publishers looked at the project; you don't see stories by Jack London, Merril's old Futurian Society friend John Michel and Marjorie Allingham in immediate succession in too many books then, or now. 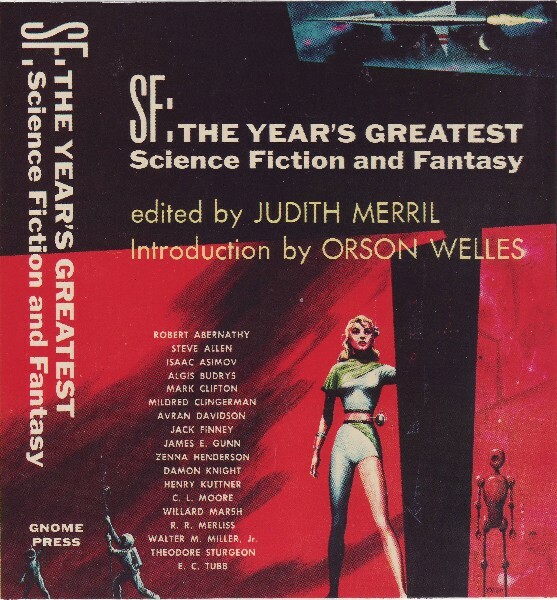 She was given, by Dell, the opportunity to edit the second US-based Best of the Year series to focus on short sf and fantasy, stressing the former...she could live with that...S-F in her early volumes officially stood for "science-fantasy" in the broadest sense (later, it abbreviated her revival of Robert Heinlein's suggestion of "speculative fiction"--covering all the fantastic, as Merril used it). 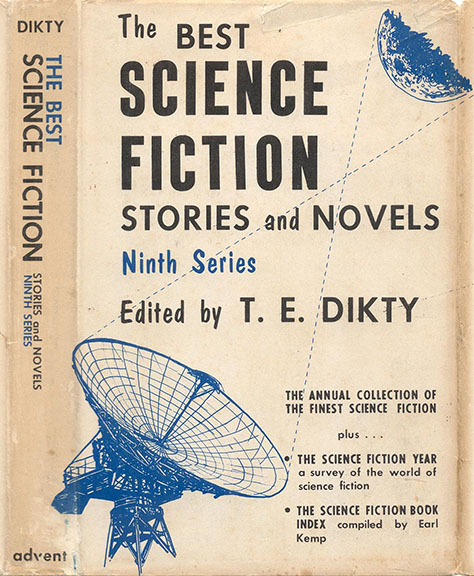 Since 1949, there had already been a primarily science fictional BOTY, from the minor but professional hardcover house Frederick Fell, edited by Everett F. Bleiler and Ted Dikty (and George Kelley has been reviewing each in turn); Bleiler tapped out with the 1954 volumes, The Best Science Fiction of the Year and Year's Best Science Fiction Novels (devoted to novelets and novellas), perhaps in part because Fell didn't want to go forward with the longer-story annual, and the remaining volumes combined the shorter and longer stories. Dikty came to depend more and more on unofficial co-editor Earl Kemp, who was also part of the group of s-f/fanzine/convention fans who in 1955 came together to form Advent: Publishers, mostly with the intent of collecting Damon Knight's critical essays and reviews in book form, and In Search of Wonder saw its first edition that year. Advent decided to continue in that mode (publishing books about sf and related matter by James Blish, Robert Bloch and others), and apparently Fell, which began publishing operations in 1949 with, among other books, an artistically wildly uneven and not terribly commercial set of sf releases, and whose sf program shrank almost immediately to their two annuals, decided after the 1956 volume that they didn't want to publish The Best Science Fiction of the Year either, and so there was no 1957 volume...but there was a 1958 volume, published via a partnership between Advent and Doubleday's Science Fiction Book Club: Doubleday printed the copies, including the perhaps thousand or so Advent received for sale to the general and library trade, while the SFBC edition, identical except for the lack of price on the jacket and "Book Club Edition" in its usual place on the front flap, was made available to the membership. The fan-initiated Gnome Press, one of the most prosperous (but apparently not the most ethically-run) of the small houses publishing a lot of sf and fantasy magazine reprint material the larger houses weren't picking up too readily in the early and mid 1950s, got the rights to publish the hardcover editions for the first several volumes from Dell, till Gnome began to completely collapse and Merril and Dell struck up a deal with Simon & Schuster for the hardcover editions with the fourth volume. 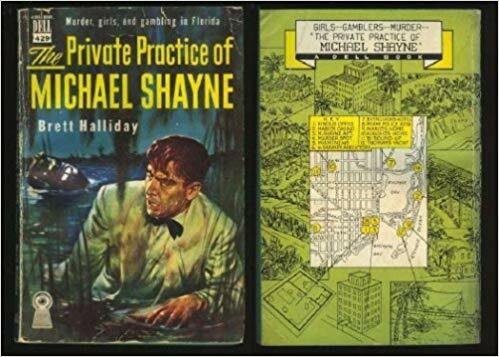 Meanwhile, the Richard Powers cover for the Dell paperback and the Edward Emshwiller design for the Gnome hardcover jacket were both typically impressive...one wonders who misspelled Avram Davidson's name below, however--and left off Shirley Jackson's name altogether! While writer Julian May (Dikty)'s clip art-style and basic typography cover for the Advent/SFBC final volume was certainly functional (she was far better known for her story "Dune Roller"--which she also illustrated for its magazine appearance--and would return to writing sf after a long hiatus with a series of novels, and also short movie novelizations as by "Ian Thorne", in the early 1980s). 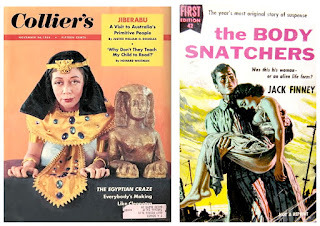 One notes both anthologies hew pretty closely to the sf and fantasy magazines for their selections, with the Merril showing a slightly greater eclecticism in sources, if not to nearly the same degree she would later, with stories from a paperback collection and Bluebook and Good Housekeeping, the latter by fantastic specialist Jack Finney. 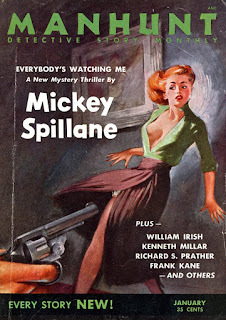 Both mix new and veteran writers, and both limit the contributions by women writers to three each...if rather stellar trios: Shirley Jackson, Mildred Clingerman and Zenna Henderson in the Merril, Leigh Brackett, Kate Wilhelm and Carol Emshwiller in the Dikty/Kemp. 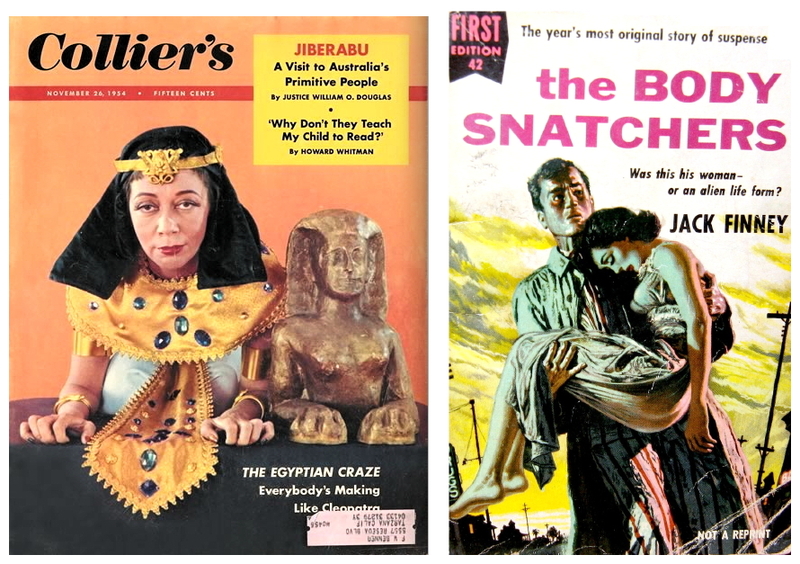 Only Jackson and Brackett could be considered true veterans at time of inclusion, though Clingerman, Henderson and Emshwiller were a few years into their careers. 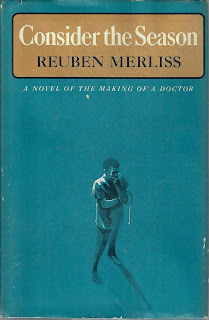 The Merril book begins with Orson Welles's account of his wife Paola Mori and a publisher friend going and buying the actor/director a gift of a shelf-full of sf and similar novels, and how little he enjoyed most of them...in the course of making a pitch for the short fiction in the field, which was less likely to be written by an opportunistic veteran or tyro writer, either sort frequently not up to speed with the best of sf, as the novels often were in 1955. Not that there was any lack of hackwork in the magazines, particularly the lesser ones, which were undergoing the first thinning out, after a boom in the early 1950s in the wake of the insurgent successes of the new Galaxy and the improved, more mature Startling Stories, and the continuing good profitability of Astounding SF, as the American News Company, the distributor which handled perhaps half or more of the magazine traffic in the States, was beginning to lose some of its major clients before the company was sold off piecemeal in 1957 for its real estate and other assets, more valuable by some distance in total than its stock price had been. The glut of magazines had made it possible for a half-competent writer to place any given half-competent story Somewhere in the field, but this also didn't do any favors for the magazines as a whole, since it meant casual or first-time sf/fantasy magazine readers often were as likely to find a mediocre experience at best in their purchase as a good or better one. 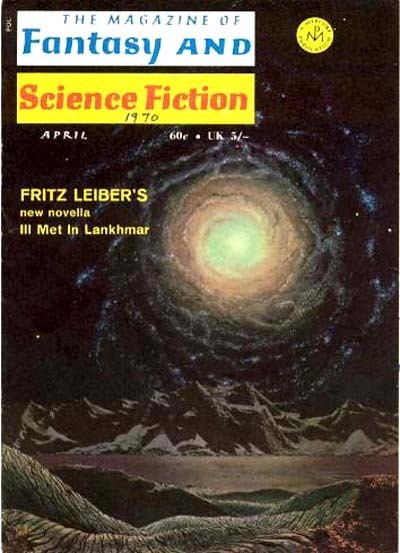 But, nonetheless, the magazines did tend to have editors more knowledgeable about sf, fantasy and horror than the paperback or hardcover book houses did, with some few exceptions...and even the lower-budgeted magazines often featured work less spavined than too many of the novels, whether new books or primitive or otherwise unworthy reprints. 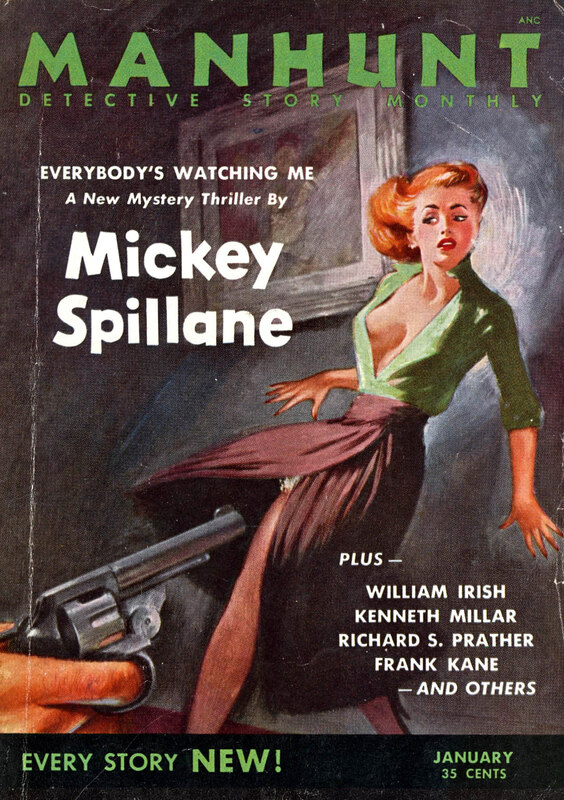 It might also be noted that Dell was fond of getting some sort of Name associated with their magazines and paperback anthologies in those years, not infrequently a Hollywood celebrity such as Welles or Alfred Hitchcock. 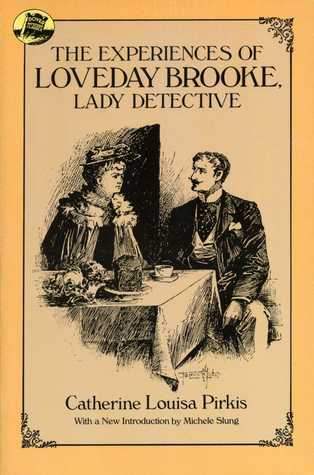 one character to another in terms of point of view in a scene to no good purpose, and explains every action of his characters at times in such a way that should've been pruned, but this was the beginning of the Tin Age at John Campbell's Astounding, where his attention was beginning to be concentrated in fringe "science" and the political content of his editorials, and such miserable writers as E. B. Cole and the blandest sort of yard-goods writing by those who could do better, such as the young Robert Silverberg and Randall Garrett, began to be staples of the magazine. 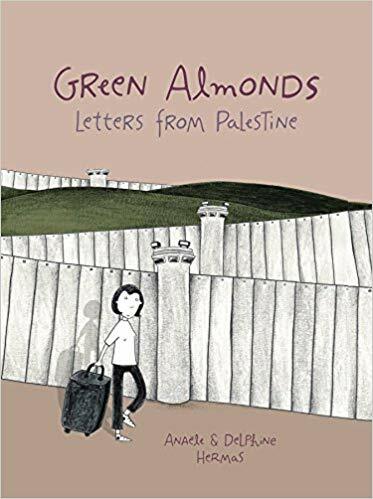 Not a terrible story, but probably the worst in the book, and a very poor choice to start with. The next, much better story is also about an android, one of Avram Davidson's most famous, if a bit heavy on the fan service and easy schtick, "The Golem"...an elderly couple, the Gumbeiners, are visited one afternoon by a lumbering, gray-complected fellow who invites himself up onto their front porch, and begins to lecture them about how there is clearly an innate emnity between humanity and androids such as itself. The Gumbeiners are unimpressed. Humor, a bit more labored, continues with Robert Abernathy's "Junior", involving sentient polypoid sea creatures including an innovative young male who manages to upset tradition. A lot of fan service in this one, though with a cute notion to end with. James Gunn's "The Cave of Night" is, like the Davidson, his earliest widely-cited story, an account of the first human astronaut, launched in military secrecy and on a budget mission...and apparently through misadventure stranded in his disabled space capsule in Earth orbit, making broadcasts to the Earth below over shortwave as he awaits probably unlikely rescue or for his oxygen to run out in about a month's time. The pompous tone which runs through the piece is not completely excused by it being told by an old newspaper-reporter friend of the broadcasting astronaut. Nicely encapsulates the notion of three-stage rocketry for Earth-based space exploration, and deftly describes the impressive vistas from an orbiting craft, though.